One of the oldest and most widespread superstitions is the evil eye, or the notion that people can be cursed by a malicious glance; it’s a superstition that is still quite prevalent in the Middle East and Africa. Why? According to an economist, in certain contexts it may actually be a rational rule of thumb for social relations. An analysis of pre-industrial societies around the world reveals that the evil eye superstition is more prevalent in societies with more wealth inequality, especially where there are weaker governing institutions, and in agropastoral societies where wealth is more visible and vulnerable. Inequality does not appear to be associated with other superstitions. Fear of the evil eye, he argues, helps people avoid behavior that would incite envy—a particularly rational decision in such societies. 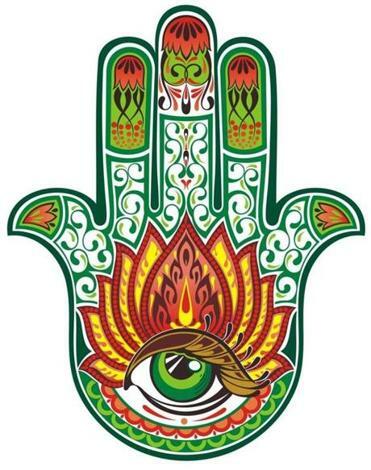 Gershman, B., “The Economic Origins of the Evil Eye Belief,” Journal of Economic Behavior & Organization (forthcoming). Talhelm, T. et al., “Liberals Think More Analytically (More ‘WEIRD’) than Conservatives,” Personality and Social Psychology Bulletin (forthcoming). Yeah, yeah, yeah, yeah: Sounds like a number one hit. According to a new study, repetition can be the key to popular music success. Not only did experiments find that people perceive songs with repetitive lyrics to be more familiar—even if they’d never heard the songs before—but songs with more repetitive lyrics were more likely to reach the top of the Billboard charts and get there faster, even controlling for performer demographics, song length, tempo, and year. Nunes, J. et al., “The Power of Repetition: Repetitive Lyrics in a Song Increase Processing Fluency and Drives Market Success,” Journal of Consumer Psychology (forthcoming). You know the cost of college is out of hand when the mere question of whether a student’s parents own or rent their house can change the trajectory of his life. In periods of intense real estate price gains, homeowners see an increase in the value of their homes while renters may face higher monthly costs with no upside—and that turns out to affect what they can invest in their college-bound kids. Economists with the Federal Reserve Bank of Boston found that “a one percentage point increase in house prices, when children are 17 years old, results in roughly 0.9 percent higher annual income for the children of homeowners, and 1.5 percent lower annual income for the children of renters” when they become adults—even controlling for other economic factors. Higher house prices enabled higher college enrollment—and enrollment at higher-ranked colleges—for children of homeowners, but lower enrollment for children of renters. Cooper, D. & Luengo-Prado, M., “House Price Growth when Children are Teenagers: A Path to Higher Earnings?” Journal of Urban Economics (forthcoming). As if the realities of a warming climate weren’t enough, there’s another reason that environmentalists might feel toasty. A new study found that people who were made to think that their carbon footprint was below average—i.e., more environmentally friendly—subsequently thought that the room temperature was higher. The researchers posit that the psychological satisfaction of feeling like you’ve done the right thing may increase people’s physical perception of warmth. Taufik, D. et al., “Acting Green Elicits a Literal Warm Glow,” Nature Climate Change (January 2015).